In FORSbase, FORS’s online platform, you will find out about research projets in the social sciences conducted in Switzerland, as well as gain access to a large number of datasets. Furthermore, by archiving your projects on the platform, you will increase their visibility and ensure the long-term preservation of your data. The data and information made available for free in FORSbase are fastidiously treated and documented. Constantly enriched by the arrival of new data, FORSbase is a reliable and durable platform respecting current international standards: the FORS data service follows FAIR principles and has obtained the official certification CoreTrustSeal. 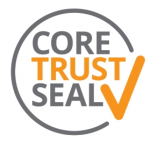 The CoreTrustSeal is a community based non-profit organization promoting sustainable and trustworthy data infrastructures. Discover our online data platform. You haven’t yet found what you are looking for? Through our Projects page, you have access to data from various international studies (ESS, ISSP, EVS, SHARE, …) as well as to data from the Swiss Household Panel (SHP). Would you like to discover more in detail some of our datasets? Then go to the FORS Nesstar server, which allows access to some selected Swiss datasets. An ideal way to get an overview of the data, do first analyses and create graphs or tables online without having to use statistical programs. You can also get to know more in detail some selected datasets and latest additions on our page Showcase. Interested in FORS data policies?